Love working in a fun high-energy environment? Your clients do too. In fact, group fitness has taken off in recent years. Millions of people seek to join a group and benefit from a group dynamic while they get in shape and achieve their fitness goals. Now it’s time to profit off of the group fitness trend. And with the Personal Training Institute by your side, you’ll learn to be a teacher that not only ensures clients get great results, but also that keeps them coming back every week. You’ll also broaden your job horizons, as you will be ready to not only work in a gym or health club, but also in academic and even corporate environments. With our Group Fitness Certification, your skills will always be in high demand. In fact, the U.S. Labor Department estimates that employment opportunities for group fitness instructors will soar in the coming years. When you opt for this course, we’ll ensure that you can create classes that are effective for a wide variety of students. That means that you’ll be well equipped to work with those at various levels. You’ll also perfect the art of keeping students motivated and excited. That’s the fastest way to ensure that they reach their fitness goals. We also carefully go over everything from music selections and sequencing to effectively modifying programs. We make certification an easy and streamlined process. How do we achieve this goal? All courses are 100% online to match our students’ busy lifestyles. That means that you can study and take the test whenever and wherever you wish. We also guarantee instant grading. That means that if you pass the test, you’ll immediately receive your certification credentials via email. 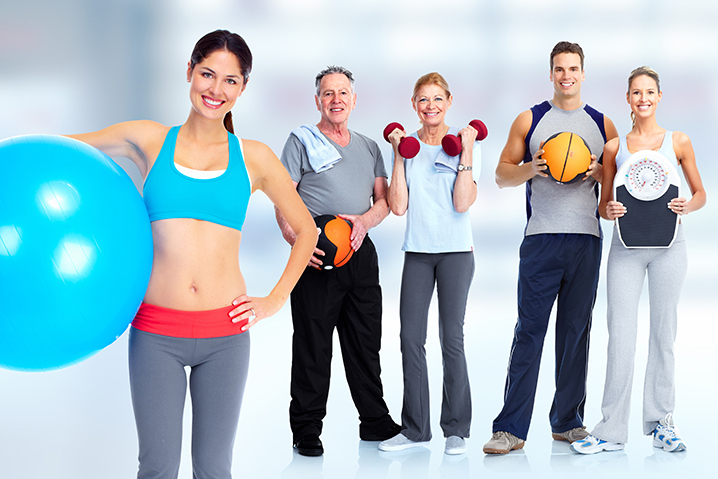 Reach more people and boost your earnings today with our Group Fitness Certification Course.